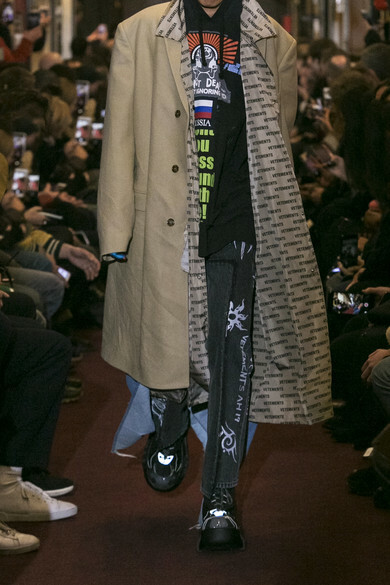 Vetements' Fall '18 collection riffs on thrift shop finds and was held in Paul Bert Serpette - a famous flea market in Paris. 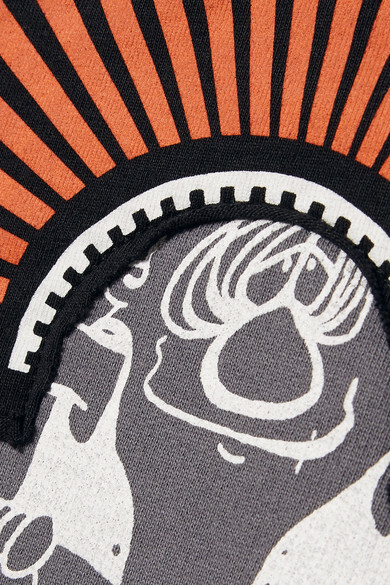 Worn on the day, this cotton-jersey hoodie is cut for an oversized fit with extended sleeves and appliquéd with a host of slogans and symbols. 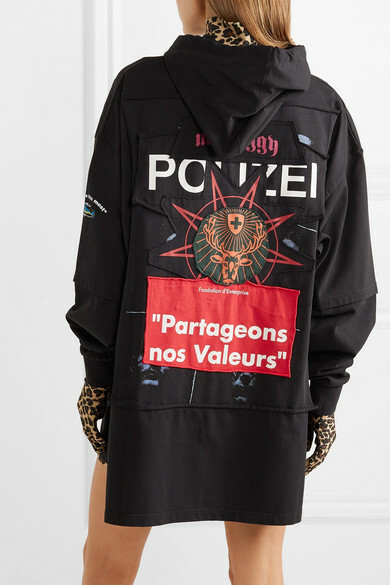 Take cues from the runway by slipping a raincoat over it. 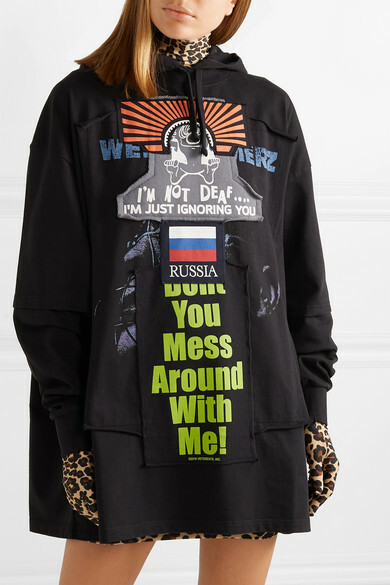 Shown here with: Vetements Dress, Vetements Sneakers.